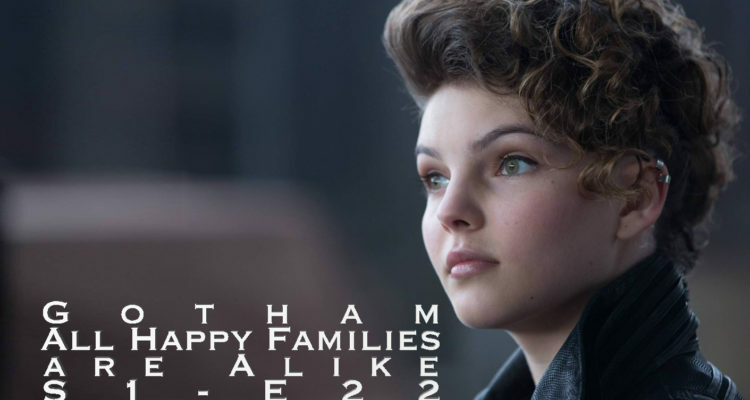 All Happy Families are Alike is the finale of season 1 of Gotham. A lot happens in this episode, making it one of the better episodes in this “end of season” arc we have been in for the past few episodes. 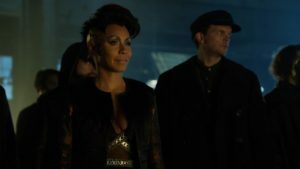 The episode opens with Selina warming herself at a trash can fire down by the river when a mysterious boat arrives captained by Fish Mooney. Yes, it looks like Fish is back, and we will have to deal with her in this episode. Other then that, Penguins plan to start a mob war seems to have gone just as he envisioned. Bruce Wayne is breaking pictures of his father looking for a clue as to his secrets, while Alfred is commenting on the gang war going on. Out on the streets, Falcone goes to check on some chickens, and someone tries to take him out with a bazooka. 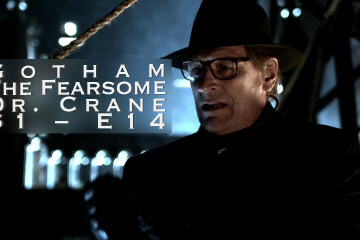 They miss, but Falcone is injured and hospitalized. 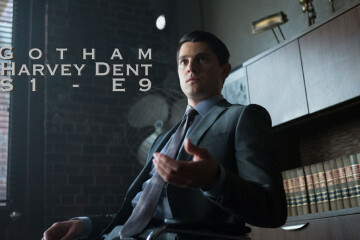 Word of this gets to Jim Gordon, who is informed that the people in control of the city have switched allegiances, and are now behind Maroni. Falcone is a marked man. Gordon thinks Falcone is “the lesser of two evils”, and goes to the hospital to help him out. However, before he can get there, Penguin and Butch have already shown up to off Falcone. 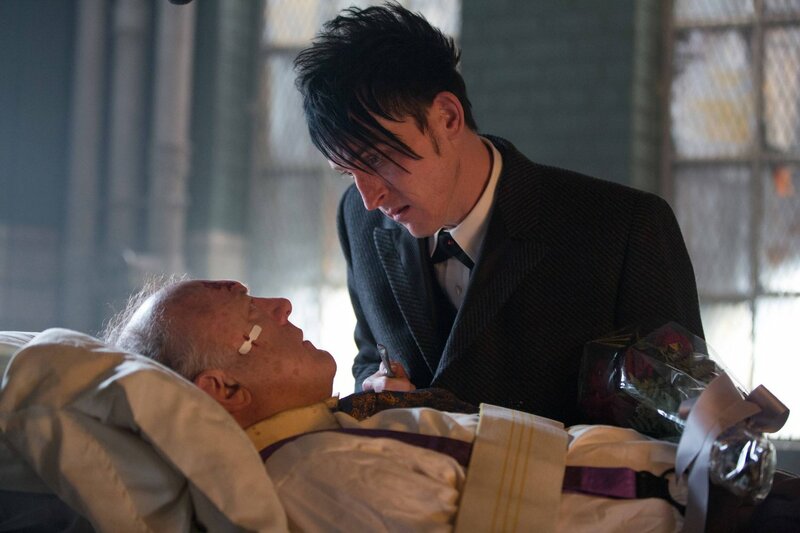 Why he isn’t just letting Maroni’s men do it, I don’t know… I mean, that was his plan, wasn’t it? It seems like Penguin is putting himself at risk just he can do the typical bad guy thing of explaining to his adversary what his plan was. Of course, Gordon shows up in time to stop it, (because that is what happened when you explain your evil plan to someone before killing them) and then Maroni’s men show up as well. A gun battle ensues, and Bullock shows up to save the day (again). Bullock, Gordon, Falcone, Penguin, and Butch make it out in an ambulance, and head to Falcone’s safe house… where Fish Mooney is waiting. Fish makes a deal with Maroni to take out Falcone. She decides to kill Penguin slowly, kill Gordon fast, and let Bullock go. Maroni shows up, and acts like a douche. This results in Fish shooting him in the head (bye bye Maroni). In the ensuing gun battle between Fish’s crew and Maroni’s crew, Bullock cuts Gordon, Penguin and Falcone down. Falcone, Gordon and Bullock try to make a run for it, but are captured again. 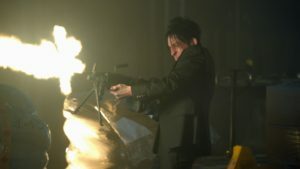 This time, however, Penguin comes out with a big machine gun aiming for Fish. In the confusion, Bullock Gordon and Falcone get away again. Penguin goes after Fish, and they fight on the rooftop. Butch shows up, and is torn between his allegiance to Fish and his allegiance to Penguin. He shoots both of them in the leg. This gives Penguin the upper hand, and he throws Fish off the roof of the building into the water below. Is Fish really dead this time? She has come back from worse, but I am still hoping we have seen the last of her. Meanwhile, Dr. Thompkins is attempting to give some therapy to Barbara at Barbara’s apartment. It gets a little uncomfortable when Barbara reveals that she knows Dr. Thompkins is dating Gordon. It gets more uncomfortable when Barbara reveals that the Ogre didn’t kill her parents, she did. Barbara then goes after Dr. Thompkins, but Dr. Thompkins gets the better of her just as Gordon, Bullock and Falcone show up. 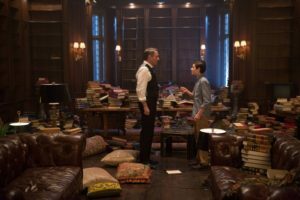 Speaking of Bruce Wayne, Bruce and Alfred have taken apart Bruce’s dad’s study looking for a clue as to what his secret was. Alfred quotes Marcus Aurelius, and Bruce remembers the man at Wayne Enterprises saying Thomas Wayne was a true Stoic. Bruce finds the Marcus Aurelius book in his dads collection, and hidden in the cover is a remote control. He pushes the button, and the fireplace slides back revealing a hidden staircase to… the batcave. 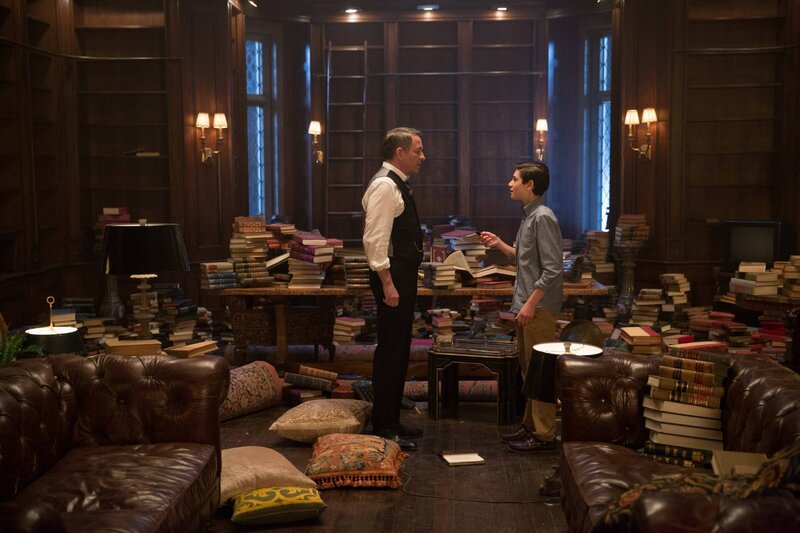 The episode ends with Bruce and Alfred looking down the staircase. So a lot of things happened in the season 1 finale. The entire 1st season kinda seems like a waste after watching All Happy Families are Alike. 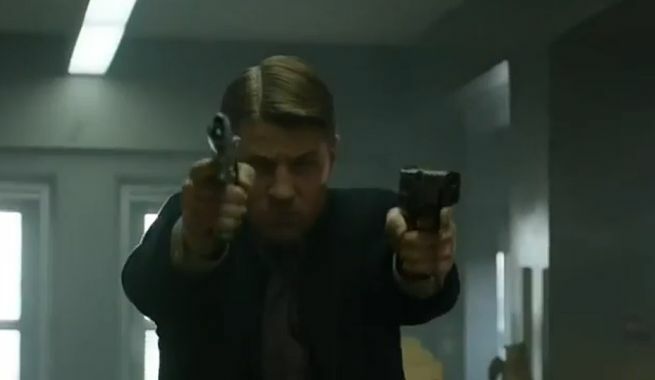 Most of this first season has been about Jim Gordon fighting the corruption in Gotham that was caused by these feeding crime families… Maroni and Falcone. Now they are both out of the picture. It is doubtful that the Mayor, Police Commissioner, and all the other leaders of Gotham will fall in line under Penguin now that Maroni and Falcone are out of the picture. And even if they do, Gordon now owes “favors” to Penguin. This makes him just as corrupt as everyone else. 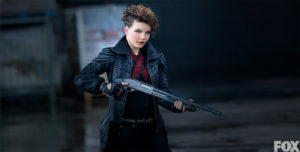 Selina Kyle quickly jumped into “gang soldier” mode. I get it that she was intrigued by Fish Mooney’s “girl power”, but still: Selina was a loner street kid with questionable morals, not a gang lackey. Although this does push her closer to the Catwoman, it doesn’t fit with everything we have learned about her so far this season. Bruce Wayne figuring out his dads secret was a good sequence of detective work fitting of his character. It was actually far better detective writing then Bullock and Gordon usually get as they seem to figure out all the clues ridiculously fast. Bruce actually had to work at finding out the answers to his clues. I really think the best part of this season has been Bullock. Here is a character that we met in the beginning of the season as a jaded, grumpy cop on the take who had no intention of rocking the boat. Over the course of the season he has become the voice of reason, and the high moral compass. Ever since episode 6 “The Spirit of the Goat”, Bullock has started to become the man Jim Gordon is supposed to be. Donal Louge plays Bullock with such a subtle empathy that Bullocks subtle transformation has been a pleasure to watch. It is a shame that he hasn’t received more recognition for his outstanding performance. It truly has been the best part of Gotham season 1.